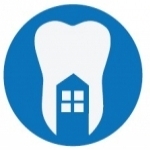 Your local, friendly dentist in Checkendon, Established for over 25 years, Byways Dental Practice welcomes all patients, including those with dental phobias, and we promise to make your experience a pleasant and enjoyable one. We specialise in affordable, flexible and quality dental care. Our professional and caring dentists are constantly keeping up with new treatment protocols and technology that continue to shape modern dentistry. We remain on the cusp of cutting-edge dentistry and follow best clinical practice so that our patients can benefit from this fast-moving industry and its key developments within a safe environment. Finding a dental practice is not difficult, but finding the right one that provides all the professional services that you need, takes a bit more work. Byways Dental Practice, set in an idyllic location in the heart of Checkendon, offers clinical excellence and invaluable convenience. Here at Byways Dental Practice, we offer a comprehensive range of dental services not simply because we can, but because we hope to meet all your dental requirements in one place. Just as no two patients are alike, even the same patient has needs that will change and develop over time. As your needs evolve, so do our services.